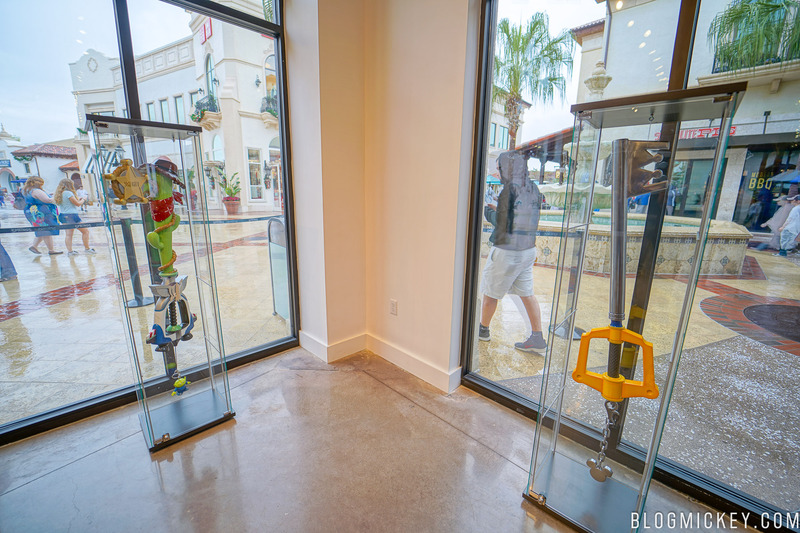 A new Kingdom Hearts III preview experience is now open at Disney Springs. 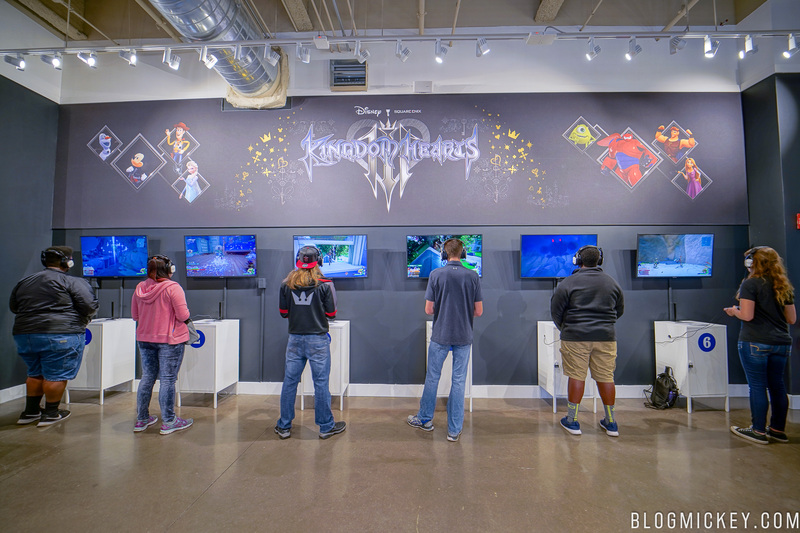 The Kingdom Hearts III preview allows guests to play 15 minutes of the game on either the PlayStation or Xbox platforms. 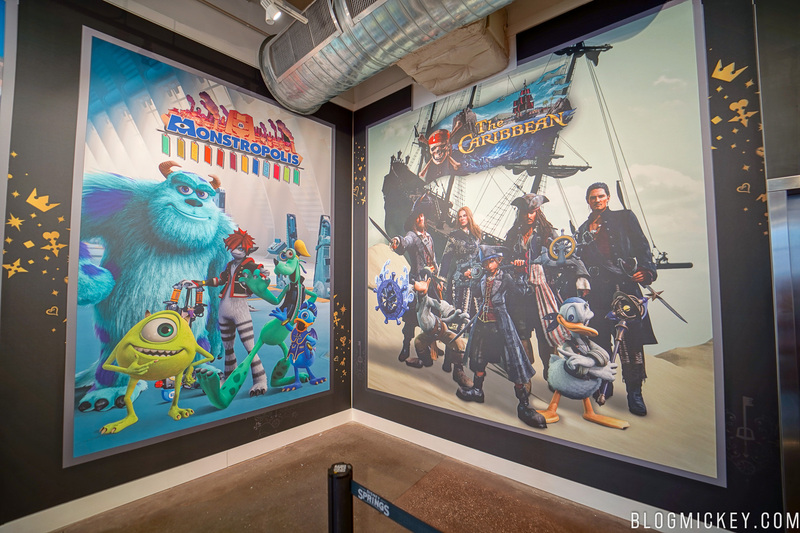 Guests can choose from one of two lands – Olympus Coliseum (Hercules) or Toy Box (Andy’s Room from Toy Story). 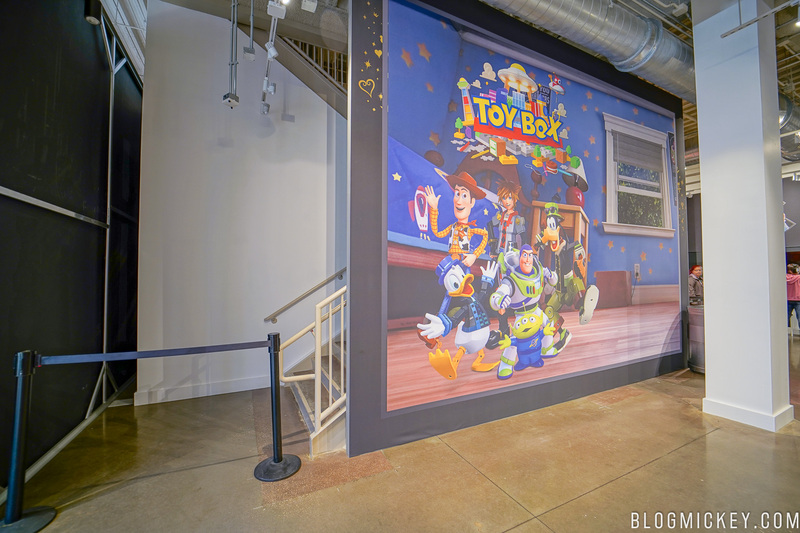 Guests are currently being asked to enter a virtual queue by giving their name and phone number to a Cast Member once arriving due to the popularity of the experience. 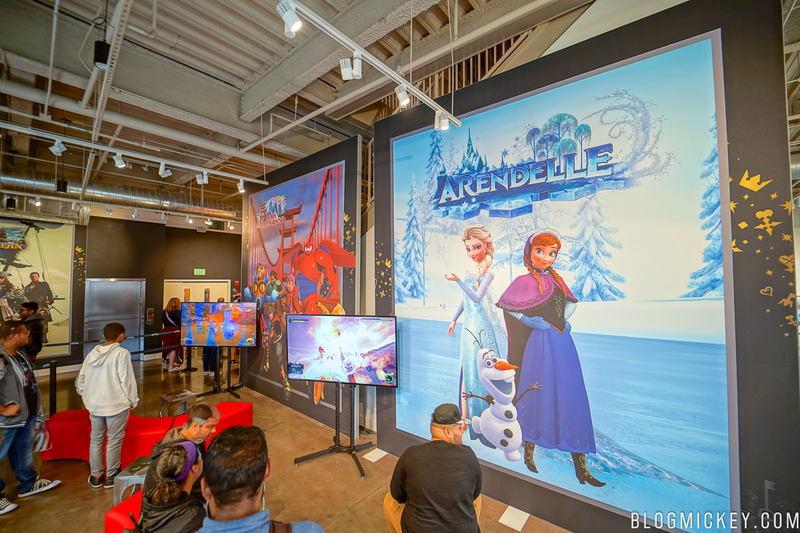 The preview will last through January 31, 2019 and is located next to the Lime Garage at the space formerly occupied by The Disney Corner. 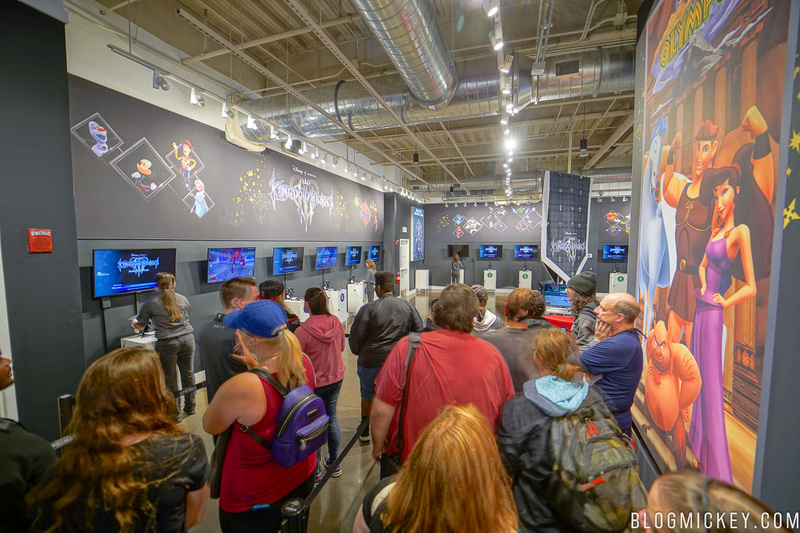 Here’s a look around the space. 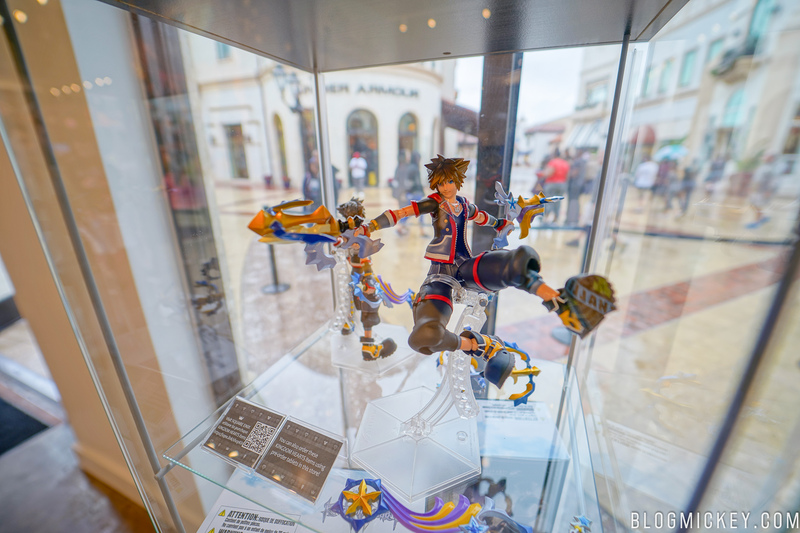 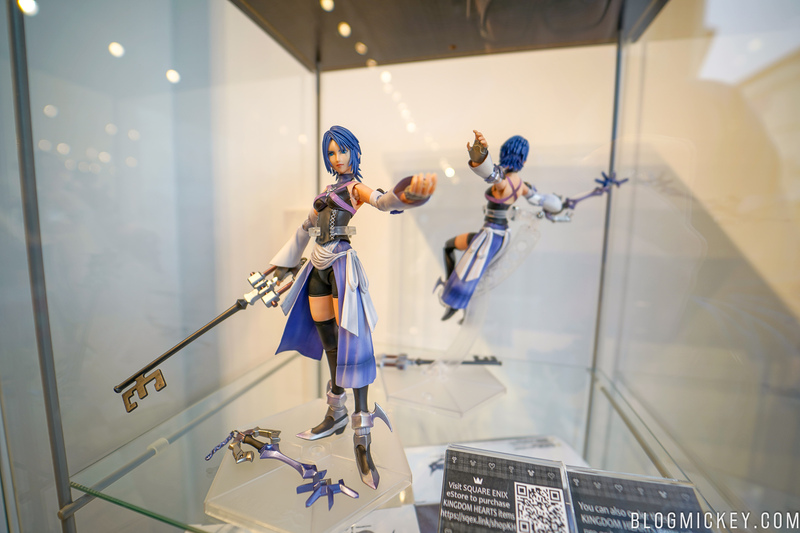 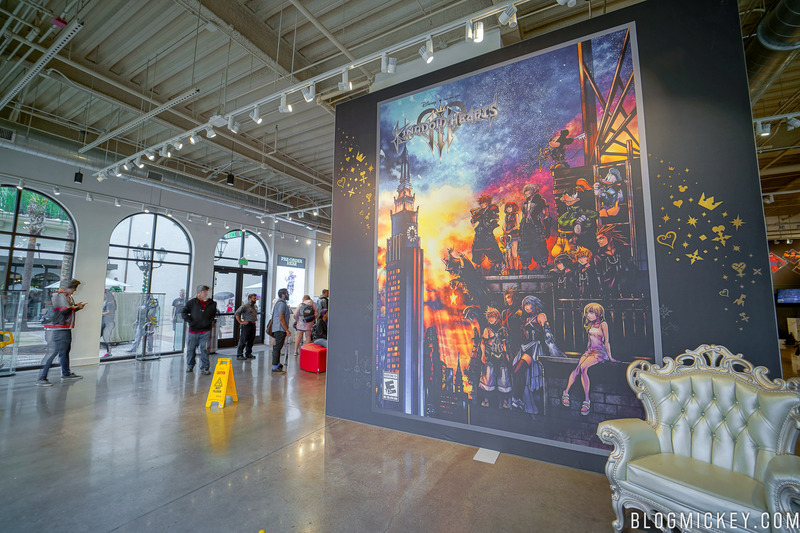 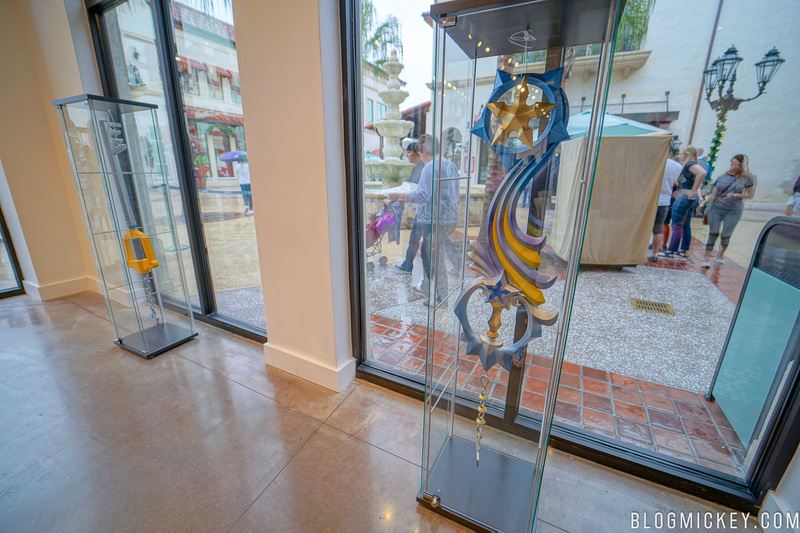 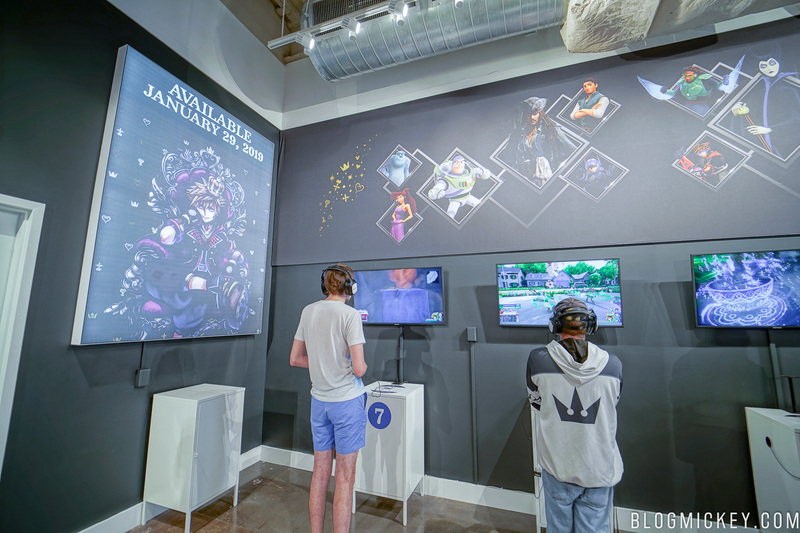 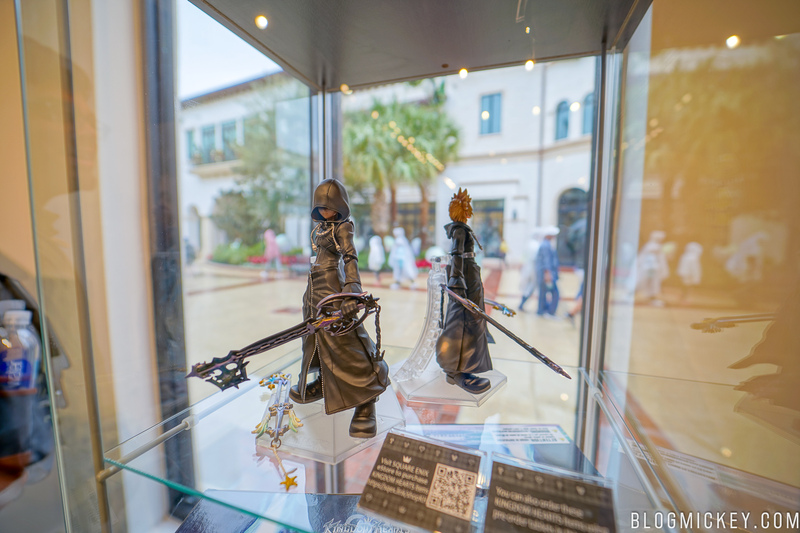 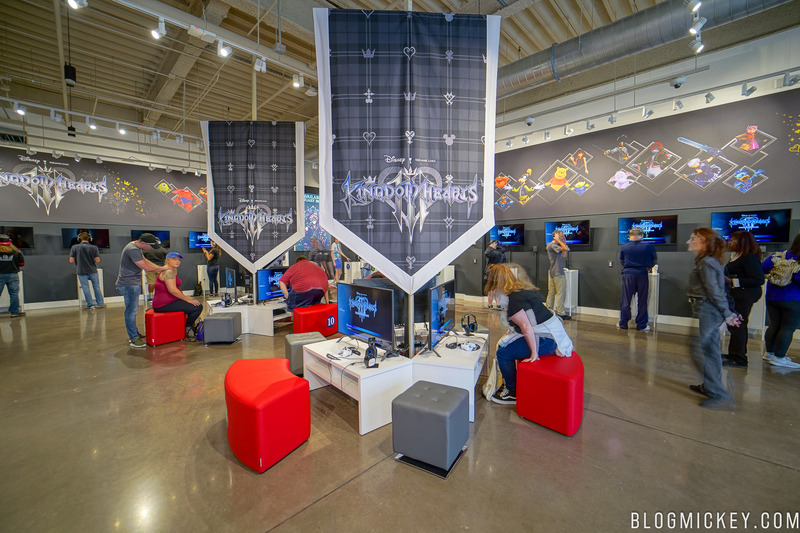 This one-of-a-kind Kingdom Hearts pop-up experience also features a special Keyblade exhibit, featuring life-size replicas directly from Kingdom Hearts III. 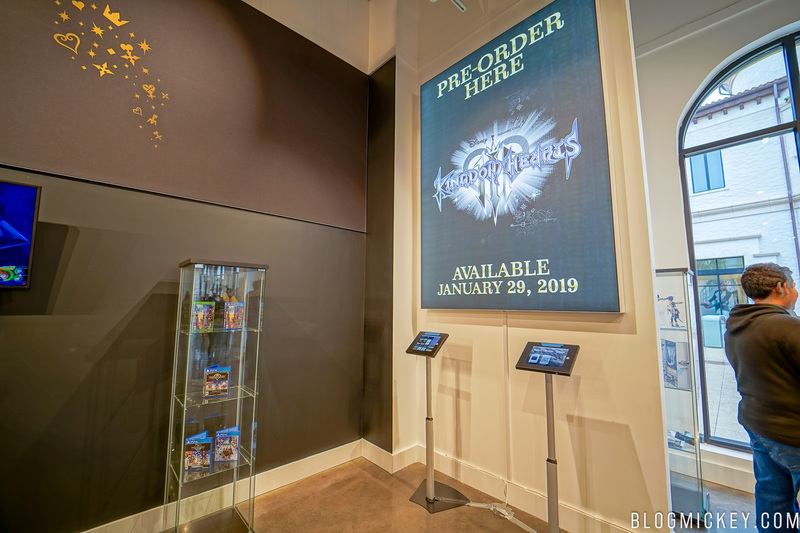 Of course, guests are reminded of the January 25, 2019 launch date and pre-orders can be made at the preview experience.